At the time Izzy was a completely different character named Kate Larkin. 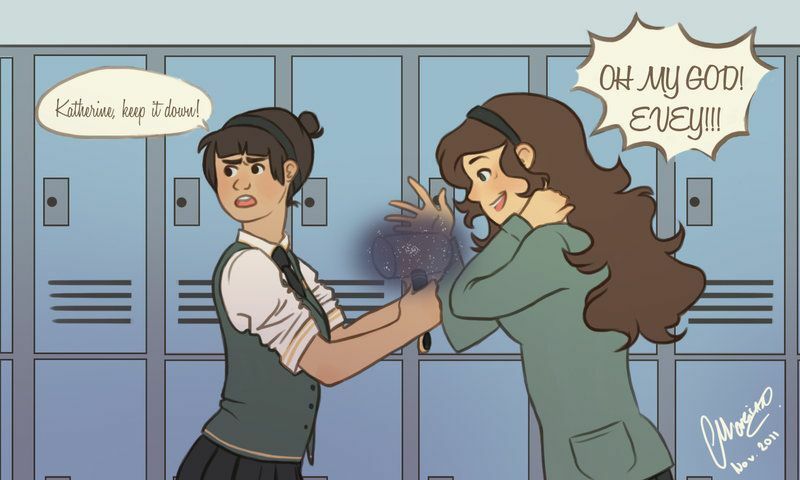 Kate was a teleporter who kept her powers an heroic activies hidden from Evey. Though much like Izzy she was a very excitable sort who knew a lot about superheroes. The artist, Cátia Moreira, has come a long way since then. You should check her out actually. Her site can be found here. 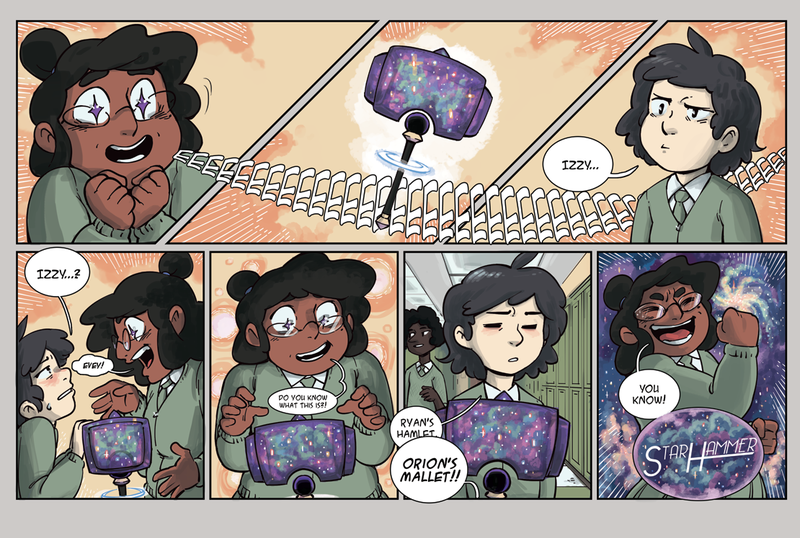 Let me tell you, the special thanks page for StarHammer is gonna be humongous! As always you can support us on Patreon and subscribe to our RSS feed. The links for both are over to the right!